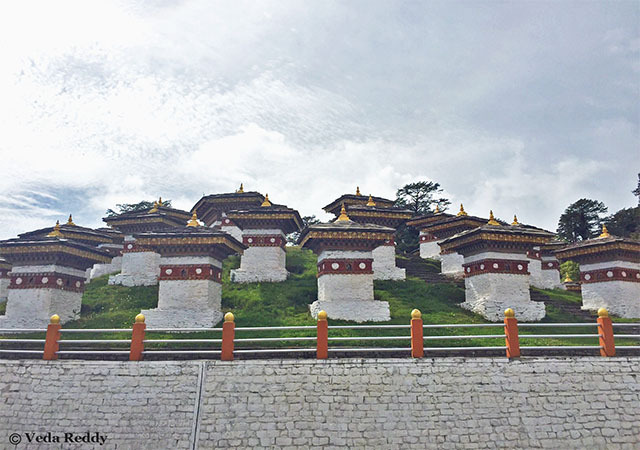 Explore Bhutan's culture and heritage on this 9-day tour. Visit the scenic regions of Paro, Thimpu and Che Le la Pass. Enjoy masked and costumed dances in honor and praise of the Black Necked Cranes. Please note: The cost mentioned is for Indian passport holders only. Board Bhutan Airlines flight at Kolkata at 08:25 am on 07th November & arrive at Paro International Airport by 10:05am. Complete Immigration formalities and you'll be transferred to Thimphu. 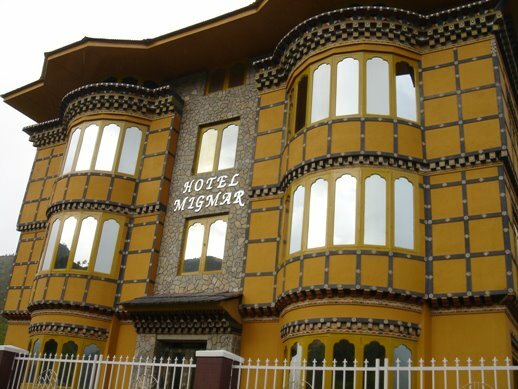 After checking into your hotel, proceed for a panoramic sightseeing of the capital of Bhutan. Visit Memorial Chorten, Kuensel Phodrang – World’s Largest Sitting Buddha Statue, Takin Reserve, and BBS Tower – Provides a vantage point view of the Thimpu Valley. After breakfast, proceed for full day sightseeing tour of Thimphu, which includes Tango & Cheri Monastery. Please Note – On weekends, you would also have the opportunity of visiting the weekend market, an interesting market with local items. After breakfast, check out of you hotel. Visit Serichu Trail & proceed toward Punakha (3 hours drive). Enroute, halt at Dochu La, a mountain pass leading further into the Punakha Valley. 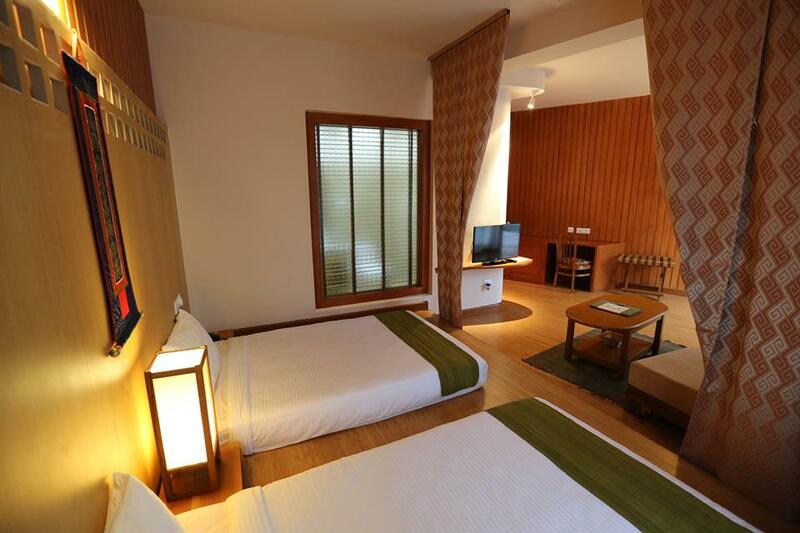 It offers a stunning 360 degree panoramic view of Eastern Himalayan mountain ranges. The view is especially scenic on clear, winter days with snowcapped mountains forming a majestic backdrop to the tranquillity of the 108 chortens gracing the mountain pass. Visit Chimi Lakhang and Punakha Dzong. After breakfast, check out of your hotel and proceed for Phobjikha. Phobjikha lies on the periphery of the Black Mountain National Park. The Phobjikha valley is a vast U-shaped glacial valley. The picturesque valley, in the backdrop of the Black Mountain Range, has rich biodiversity of flora and fauna and boasts two beautiful meandering rivers. After breakfast, proceed for a visit to Goempa Monastery. Visit the Black-Necked Crane Festival. The festival features numerous cultural programs organized by the local community. These include students performing the crane dance and small stalls offering many colourful local items such as yak tail dusters, butter tea cups, turquoise and also different Bhutanese handicrafts for sale. You will have ample time to view the Black Necked Cranes, visit the Information Centre and enjoy some of the many nature trails throughout the valley. After breakfast, check out of your hotel & transfer to Paro. On the way visit the Suspendable bridge. After breakfast, proceed for a sightseeing tour of Paro. Visit Drukgyel Dzong (Ruins of an old fortress in Paro), Kyichu Lakhang (Famous Monastery in Paro) and Ta Dzong (National Musuem of Bhutan). After breakfast, proceed for a day excursion to Chele La pass (12,200ft) - The highest motorable point in Bhutan. On a clear day one can get a breathtaking view of Mt.Jhomolhari (23,996 ft the second highest peak of Bhutan) and other Himalayan giants. Visit Paro Dzong while returning to Paro. Rest of the day at leisure. 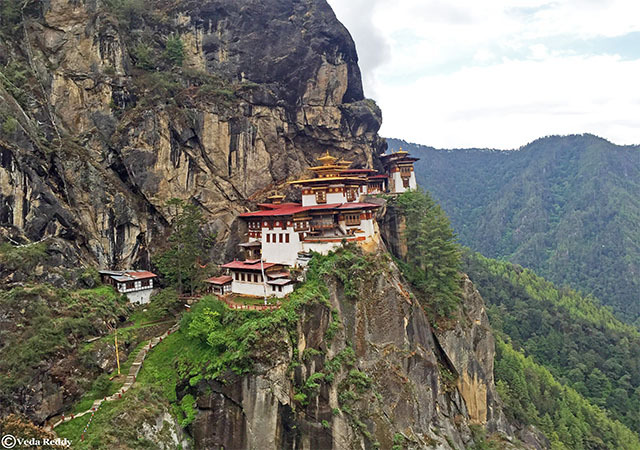 After breakfast visit Taktsang Monastery – a UNESCO World Heritage Site..
After breakfast, you'll be transferred to Paro airport to board the flight at Paro International Airport on 15th November, 2015 at 10:15 am and will arrive Kolkata by 10:55 a.m.